B&W 58mm Digital Pro Circular Polarizing Filter - If you're out walking on a lovely day - in the mountains or at the beach - and you want to get a fabulous shot of a cloud-filled sky or make the water seem more saturated, then a polarizer is the way to go. This filter is the best way to make the clouds stand out, increase or decrease the saturation of the ocean or increase or decrease the reflection off the water. You can also use this filter when shooting into glass or windows since it will, again, either increase or decrease reflections. If you're shooting black and white and want to simulate a threatening storm, try throwing on a #25 Red filter. The vista will take on the appearance of an imminent, ominous storm. Along with a UV or Skylight Filter, a polarizing filter should be a part of everyone's gear bag. It can turn a run-of-the-mill image into a stunning, creative photo by increasing color saturation. Light rays which are reflected become polarized. Polarizing filters are used to select which light rays enter your camera lens. 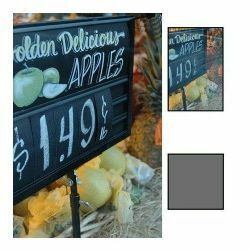 They can remove unwanted reflections from non-metallic surfaces such as water or glass and also saturate colors providing better contrast. The effect can be seen through the viewfinder and changed by rotating the filter. The filter factor varies according to how the filter is rotated and its orientation to the sun. B&W Digital Pro filters are characterized by a brushed chrome brass ring that will stylishly blend with today's modern digital cameras for both still and video formats. The reputation of B+W's Schott glass is world renowned. The high production standards combined with a sturdy brass filter ring make B+W filters hard to beat. These filters have a "heft" to them that is impressive. They may feel heavier but the benefit is in the construction and results. Not only is the glass exceptional but so is the seal between the ring and glass. Schott Glass used in the manufacture of this filter is legendary and synonymous with the highest standards of filter production. It comes with a solid 10-year warranty. The filter ring is made from brass yielding a stronger product. Brass filter rings are also less prone to jamming. In addition, the seal between the glass and filter ring is exceptionally strong giving the filter added strength and durability. In production, the filter glass is dropped into the empty filter ring from the rear and held in place with a threaded retaining ring; this is a definite advantage over a competitor who uses a spring clip to hold the glass in place. A threaded retaining ring will hold the glass firmly and securely in place to avoid the possibility of rattling and provide perfect parallelity and flatness to your front lens element for ideal optics. The part about additional filters not binding is due to the fact that brass is a very stable metal and does not contract or expand like alloy.